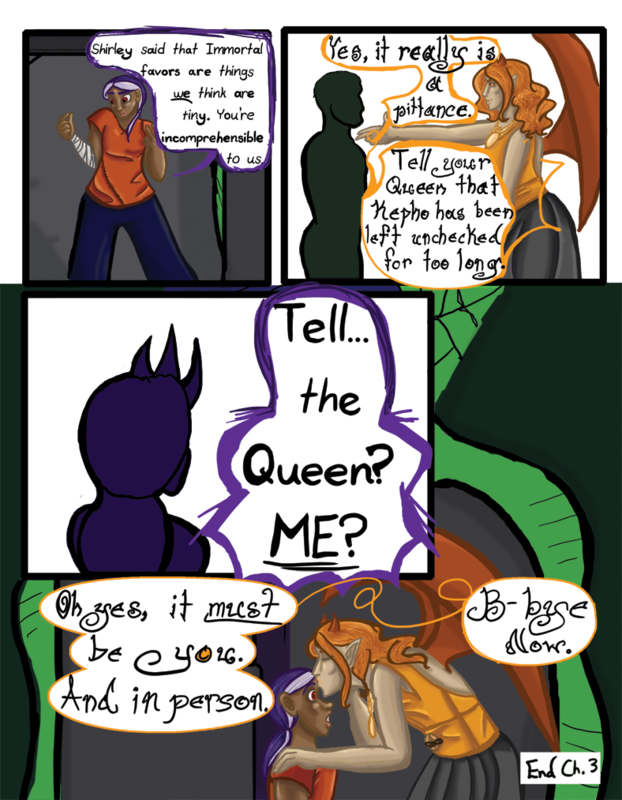 Chapter 03- Answers - "Chapter 3 Page 26"
Wynn: Shirley said that Immortal favors are things we think are tiny. You’re incomprehensible to us. Swigne: Yes, it really is a pittance. Tell your Queen that Kepho has been left unchecked for too long. Swigne: Oh yes, it must be you. And in person. B-bye now.